There isn't a kid on earth who doesn't want to wield the power of the Force after seeing Star Wars for the first time, and Uncle Milton's original mind-control Force Trainer was as close as any kid could get to being a Jedi. 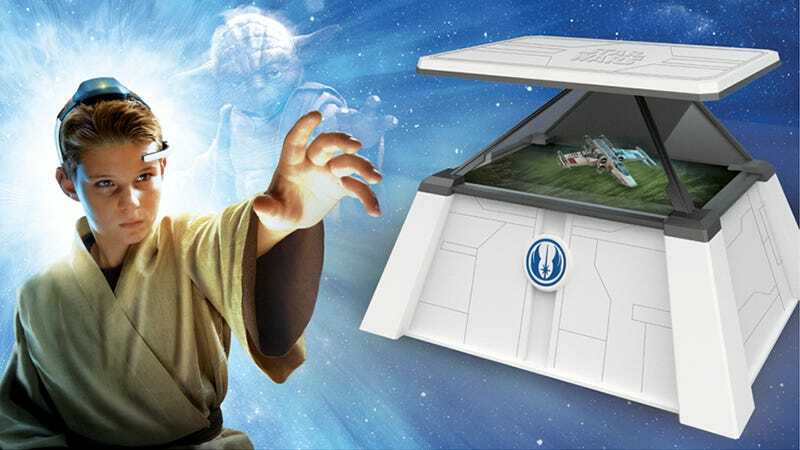 But now there's a new version that introduces animated holograms courtesy of an iPad that lets kids use their newfound Jedi skills on scenes from the movies. An included wireless headset picks up on a kid's brain activity, and translates their concentration to a series of Jedi challenges included with the accompanying app. So if a child thinks hard enough, they can raise Luke's X-wing from the swamps on Dagobah just like Yoda did.